Love is free. Hate has a price. 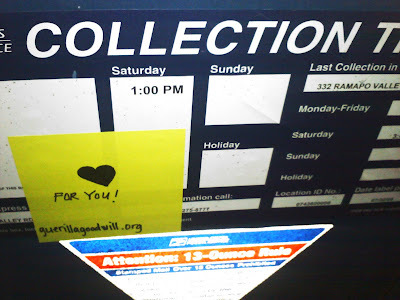 Guerilla Good Will endeavors to spread good will in unexpected places. © Guerilla Good Will. Powered by Blogger.